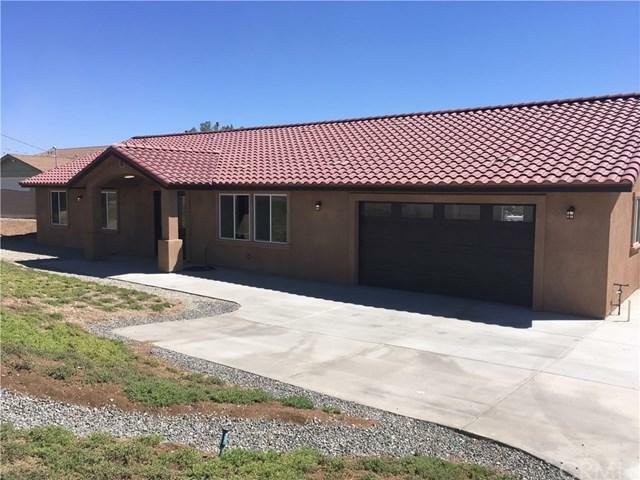 BRAND NEW OPEN CONCEPT, LUXURIOUS CUSTOM HOME WITH A 4 CAR GARAGE, ON APPROX 1 ACRE, COMPLETELY FENCED AND GATED, WITH BEAUTIFUL VIEWS OF THE HILLS, AND HAS MANY UPGRADES AND EXTRAS YOU WON'T FIND IN OTHER HOMES. 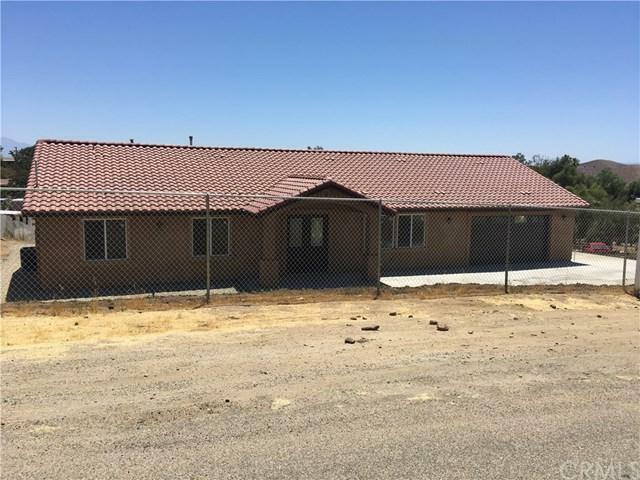 LOCATED IN A QUIET COUNTRY SETTING YET CLOSE TO FREEWAY AND SHOPPING. 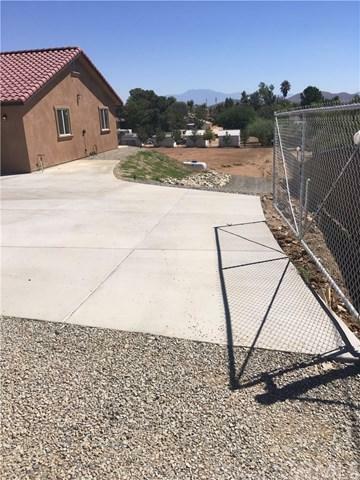 FULLY FENCED AND GATED WITH OVER 3000 SQUARE FEET OF CONCRETE ON DECKING AND DRIVEWAY. MODERN OPEN FLOOR PLAN!! SO MANY EXTRAS; 9' CEILINGS. 8' TALL ENTRY AND SLIDING DOORS. EXTRA LARGE WINDOWS THROUGHOUT. HIGH END FEATURES AND FIXTURES THROUGHOUT. EXTRA HEAVY DUTY FOUNDATION. 2X6 EXTERIOR WALLS,WITH EXTRA STRENGTH. ALL CEILINGS HAVE 5/8" DRYWALL INSTEAD OF 1/2". CONCRETE TILE ROOF WITH DOUBLE THE THICKNESS OF THE UNDERLAYMENT PAPER FOR EXTRA LONG LIFE. EXTRA R-19 INSULATION AND R-38 INSULATION PLUS INTERIOR WALLS ARE INSULATED FOR PRIVACY. MANY EXTRA ELECTRIC OUTLETS AND SWITCHES THROUGHOUT. THIS IS A MUST SEE FOR YOUR BUYERS WHO WANT A BRAND NEW HOME THAT IS HIGH END CUSTOM QUALITY ON LAND. ..... 2788 SQUARE FEET UNDER ROOF. HOUSE IS OVER 1900 SQUARE FEET AND THE 4 CAR FINISHED GARAGE IS APPROX 900 SQUARE FEET. ***PLEASE SEE THE PICTURES! ***HORSES AND ANIMALS OK!!! *** ZONED RURAL RESIDENTIAL, IN RIVERSIDE COUNTY. PERRIS ZIP CODE, BUT LAKE ELSINORE SCHOOL DISTRICT. 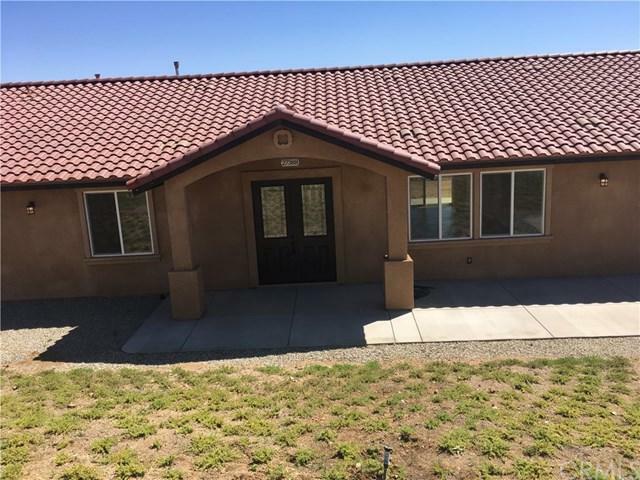 Sold by Luis Martinez of Realty One Group Inc.